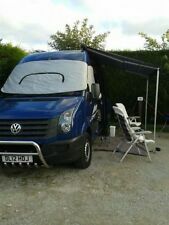 The van is all sound deadened and insulated, has roof light, status Ariel and awning with sides and front. Little kitchen has sink with running cold water, gas burner. Year 2002 model T280 SWB hi-top. Over cab slide out bed. Fold out bed in main seating area. Running cold water. 5 gallon water tank. 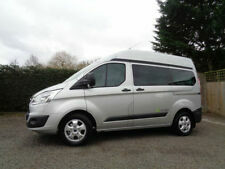 High quality conversion by Mill Garage Coachworks. 2.0 diesel engine. 3 way fridge freezer. Buy now and use over the Easter period is also advertised elsewhere. Good tyres all round including spare. 240 hook up leisure battery. Tv hook up. NO RUST Very Good condition. Excellent driver. Recent respray. Masses of storage. Hanging wardrobe. 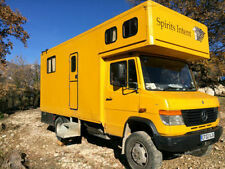 Ford transit campervan for sale, registered DVL a as motorhome .Immaculate condition inside and out as shown in photos loads of storage and converts into a huge king-size bed diesel heating 12 V Electricity system with solar panels and two leisure batteries compressor 12 V fridge TV mains hook up. Two adults in the rear and up to a large child accommodated in the front cab bunk bed. The 330 custom Limited is the top of the range. Great for lounging about, or a usable double bed for shorter people. M.O.T September 2019. Engine size 2402 CC. 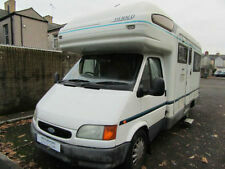 2007/07 Ford Transit Hymer Exsis-i 522 17,000 miles, 3 berth, Fixed Rear Bed, Garage, Awning, Air Con., shower/Toilet, Etc.